At this year’s September trip to Dovrefjell I was guide for an international group of wildlife photographers; Danny Green (UK), Yann Muzika (Japan/France) and Tom Dyring (Norway). 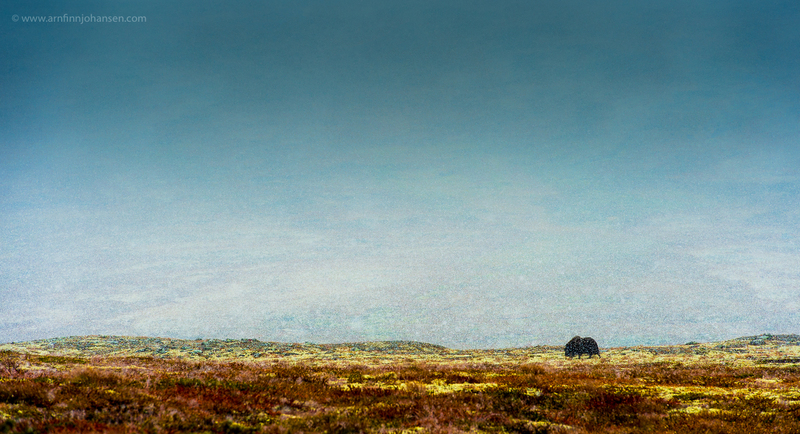 The goal at Dovre Mountain was, of course, the Musk Ox. For Danny, the Musk Ox was a must for his upcoming book; “The Long Journey North”, and for them all the Musk Ox was a new experience. And we did find the prehistoric animals, even though they gave us some hard work since they were longer into the mountains than expected. Nevertheless, we did the lavvu camping, we did the hiking every day, and we did get the pictures. For me, who has been at Dovrefjell many times before, I just enjoyed being there again and tried to do my images in “new angles”. After five days at Dovrefjell we finished our mountain trip section at Forollhogna, before Yann and I went further north to Flatanger for White Tailed Eagle photography from boat with Ole Martin Dahle. As usual Flatanger did not disappoint us, and we got some marvelous September light with the eagles and a variety of other animals and birds. Below you will find some images from the trip. Please click on the images to enlarge and see them in 1400px quality. Please feel free to leave your comments below if you like. Thank you guys for a great trip! Nikon D4, Nikkor 300/2.8 VRII + 1.4 converter, 1/2500 sec at f/8. -2/3 EV, ISO 3200. 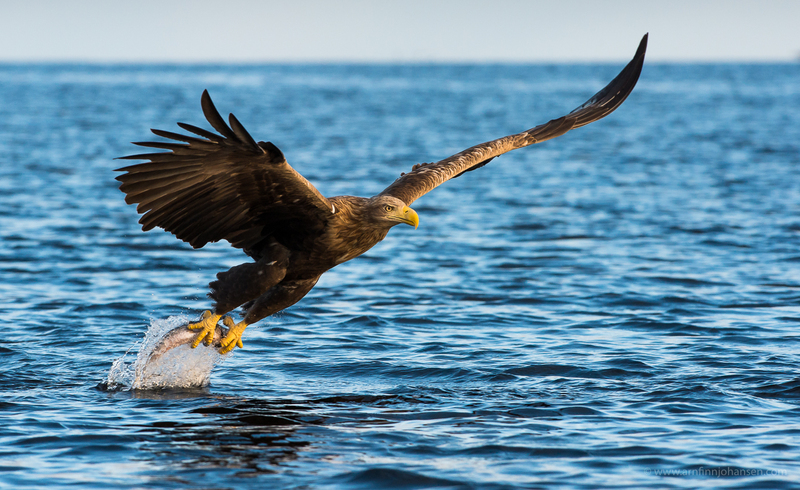 White Tailed Eagle. Flatanger, Norway. Nikon D4, Nikkor 300/2.8 VRII + 1.4 converter, 1/8000 sec at f/8. -1/3 EV, ISO 900. Nikon D4, Nikkor 300/2.8 VRII, 1/2000 sec at f/8. +2/3 EV, ISO 1800. 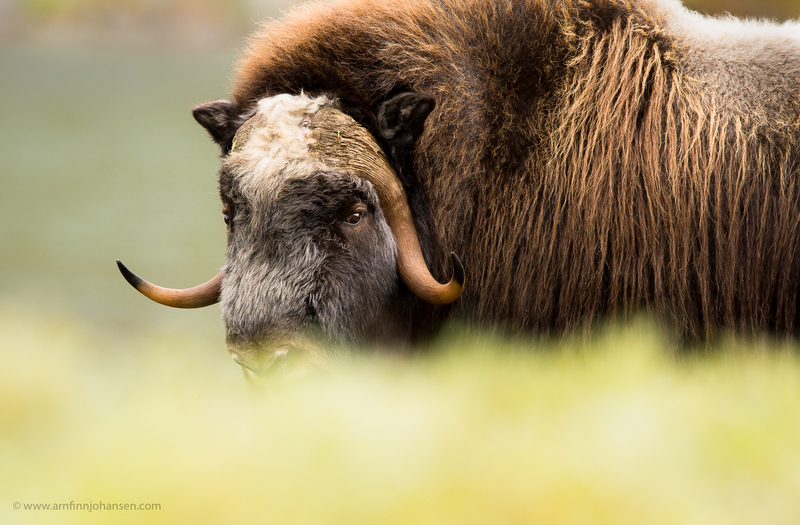 Musk Ox in September snow. Dovrefjell, Norway. Nikon D4, Nikkor 70-200/2.8 VRII, 1/320 sec at f/8. +1,7 EV, ISO 720. Nikon D4, Nikkor 600/4 VR, 1/800 sec at f/5.6. ISO 1100. 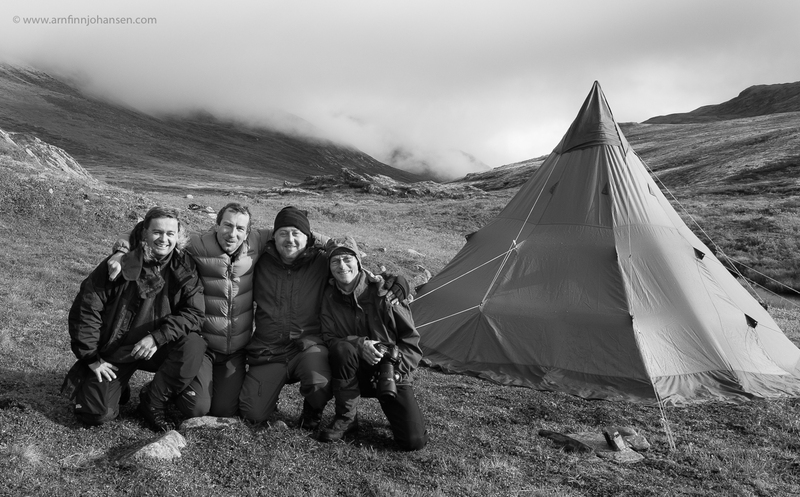 Team photo (from left): Arnfinn Johansen, Yann Muzika, Danny Green and Tom Dyring at the lavu camp at Dovrefjell, Norway. Nikon D4, Nikkor 24-70/2.8, 1/320 sec at f/13. 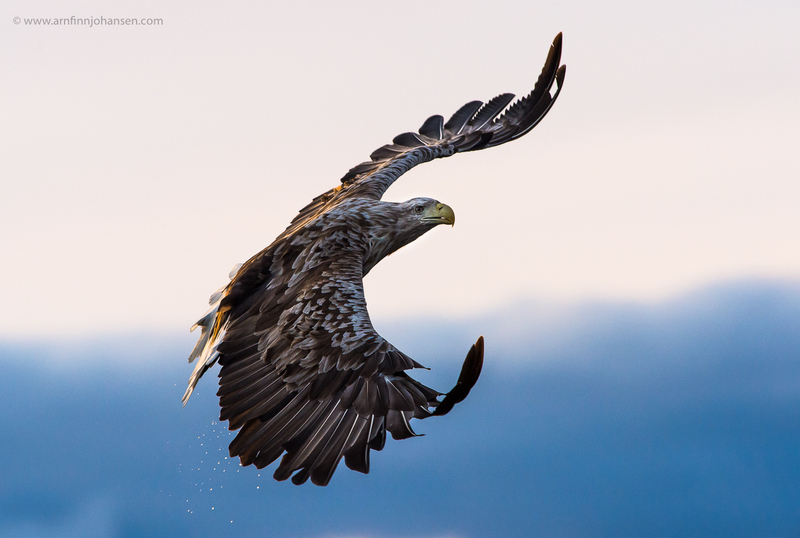 ISO 720.
wow.. congratulations arnfinn, for a great show of unique set of images specially of White Tailed Eagle. reminded me of the one we took in yala national park of the white bellied sea eagle praying on a egret. would love to see that too. fantastic work all the best. Wow Arnfinn,a couple of these shots are going to keep you busy.Great going as usual. Jeg skulle gjerne vært med til Dovre gitt… Utrolig flotte bilder du presenterer. Jeg likte spesielt godt moskusen i snøvær. 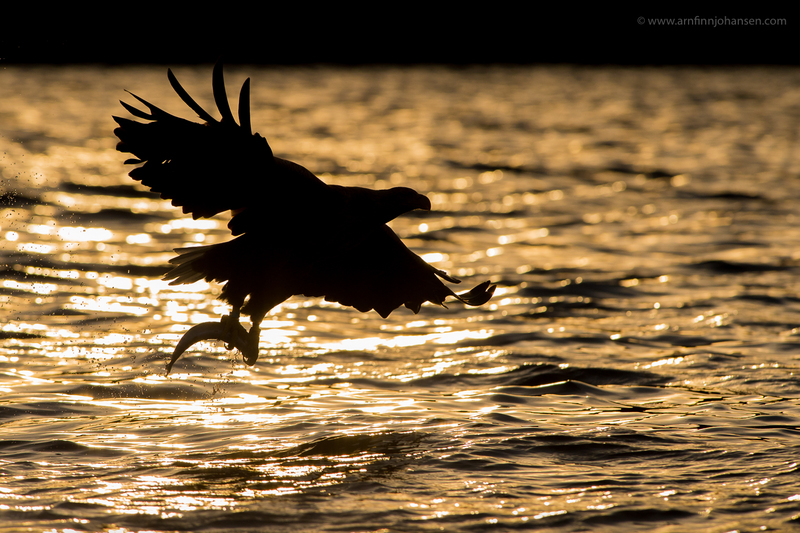 Great pics Arnfinn i love the pic you got from the Snow storm and all the eagles in different lights. 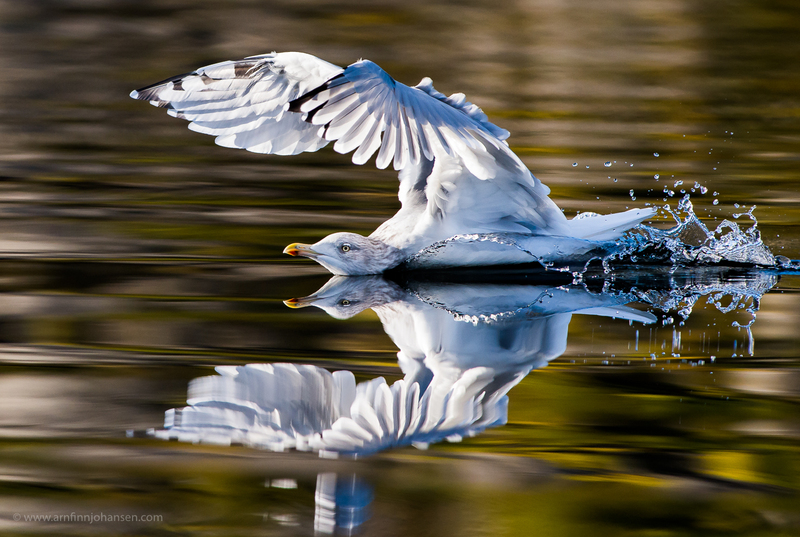 Congratulations on yet another wonderful set of images Arnfinn! Your work is really fabulous! Best of luck with your future work. Takk flott tur Arnfinn … veldig hyggelig selskap og prima ekspedisjonsledelse !! Bildene dine er som vanlig flotte og nydelig produsert !